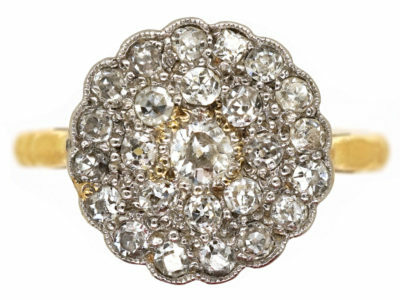 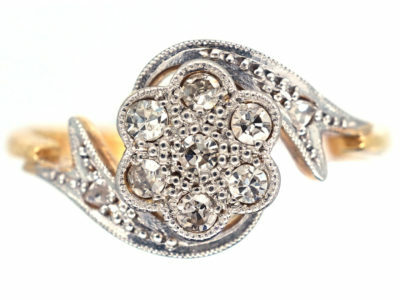 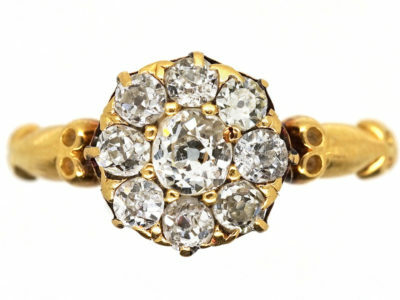 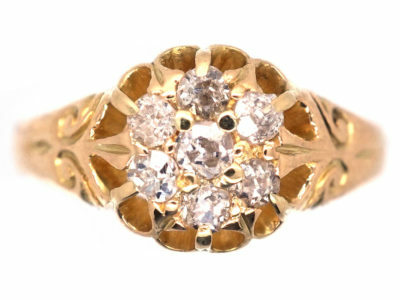 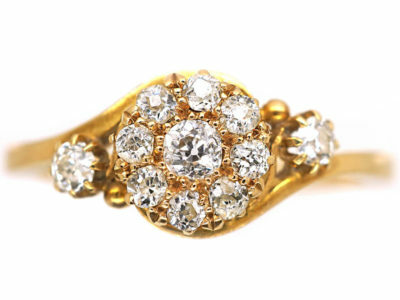 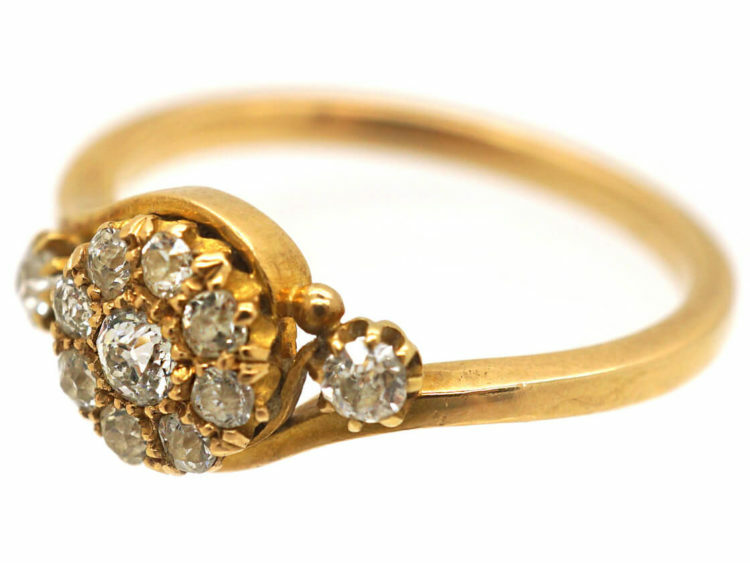 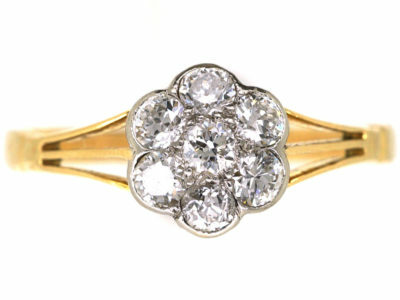 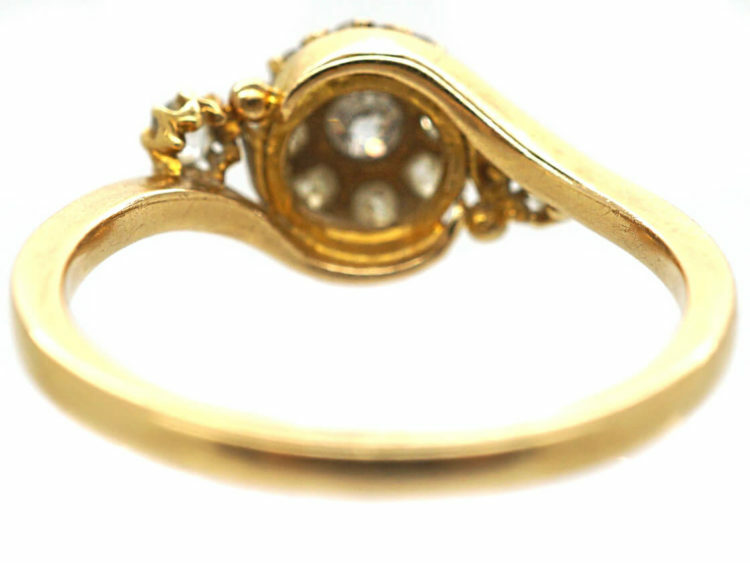 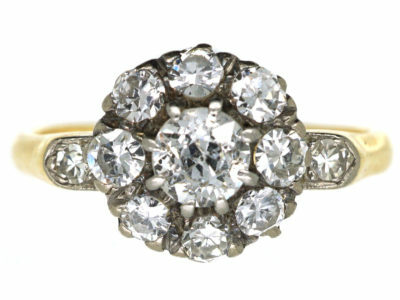 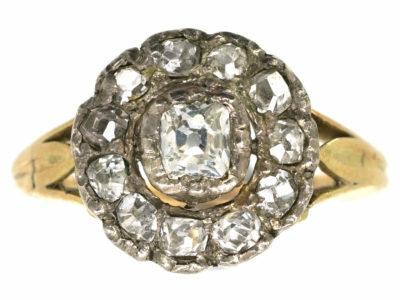 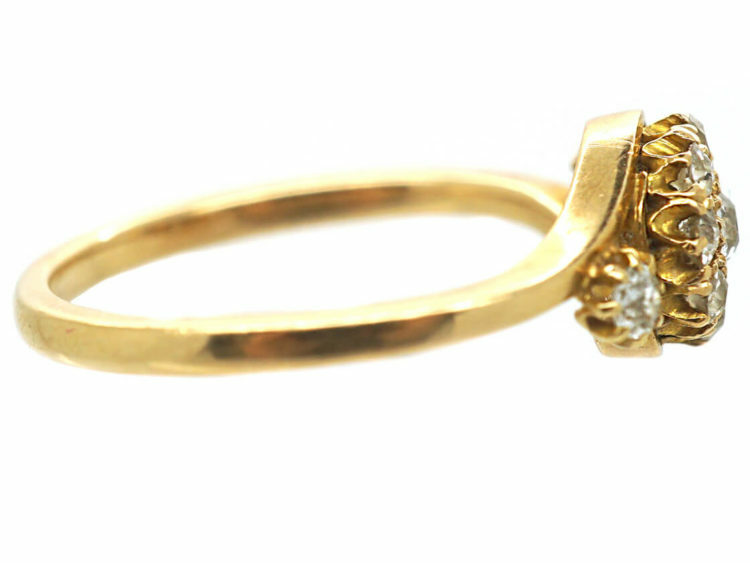 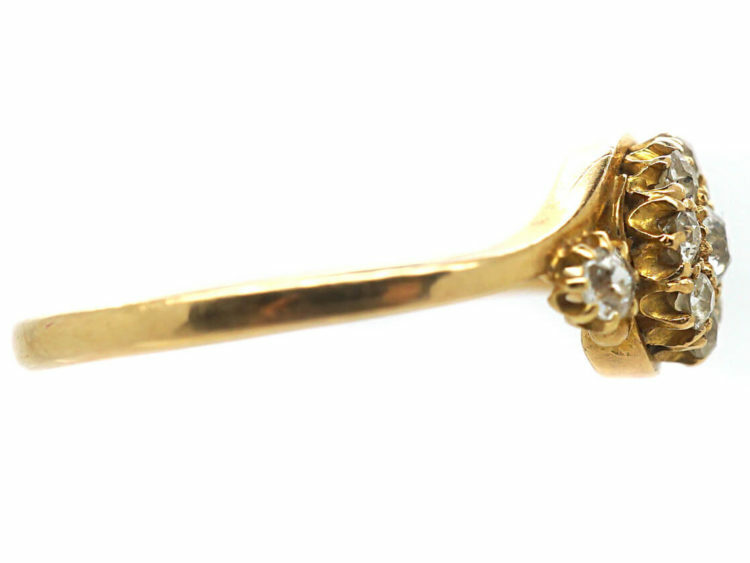 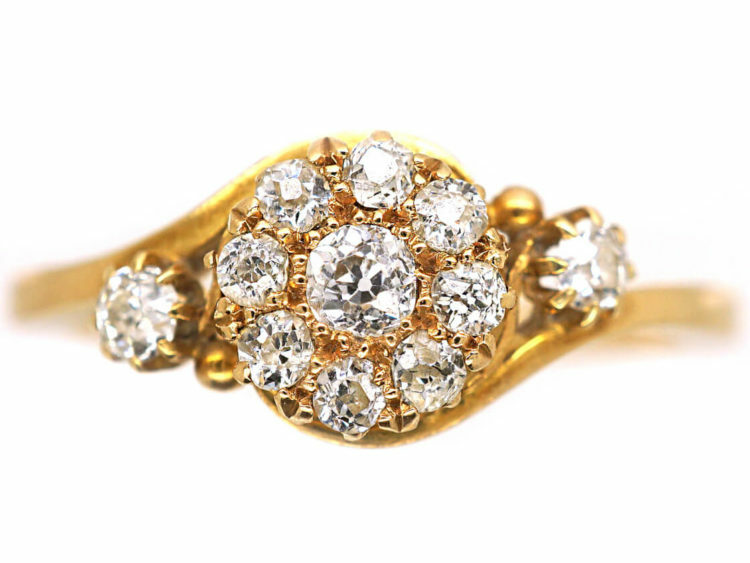 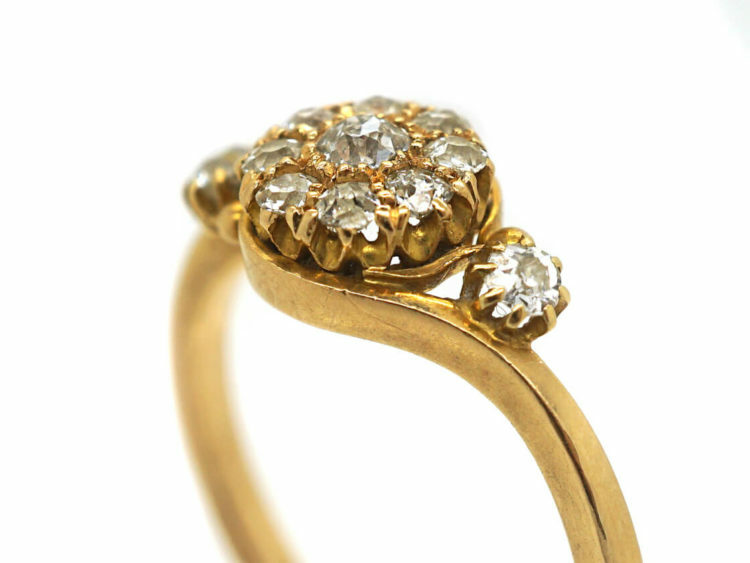 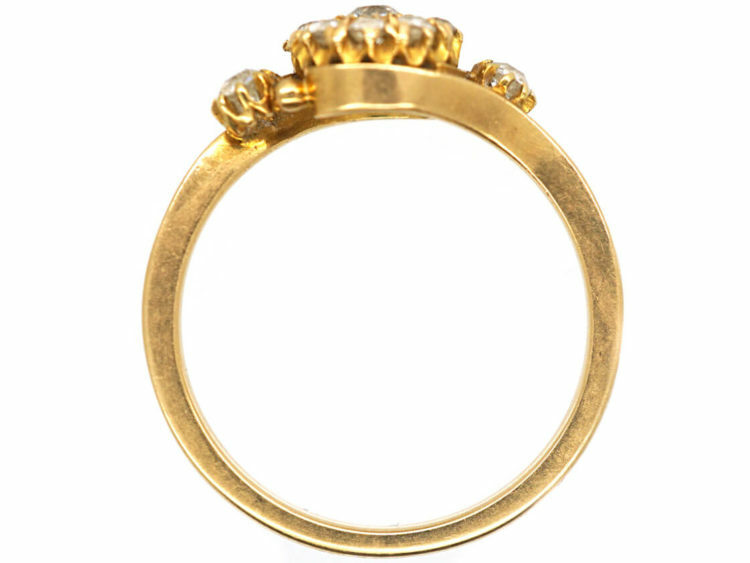 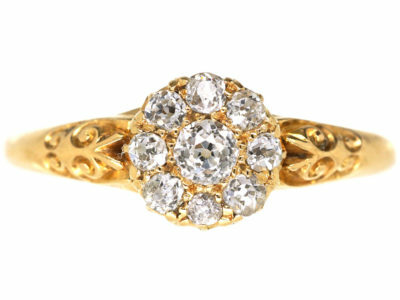 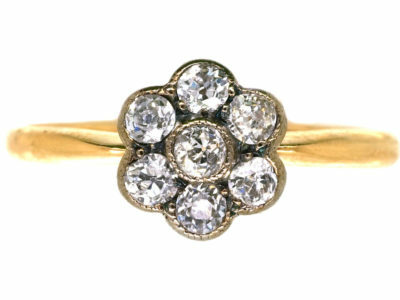 A lovely 18ct gold ring that was made circa 1900-1910. 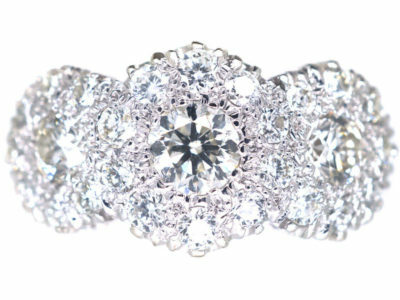 It is composed of a cluster of well matched white diamonds with twist shoulders set with a diamond on either side. 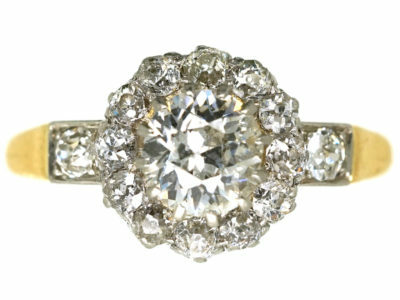 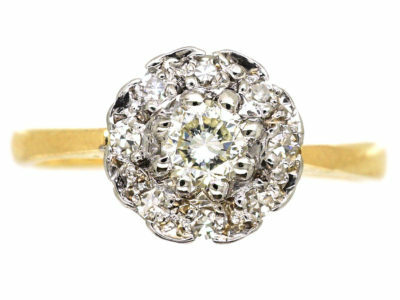 It would make a beautiful engagement ring.